If you have seen the pictures or the videos of OS X Mavericks and want to make your Windows look like OS X Mavericks, you can do so by downloading and installing OS X Mavericks transformation pack. 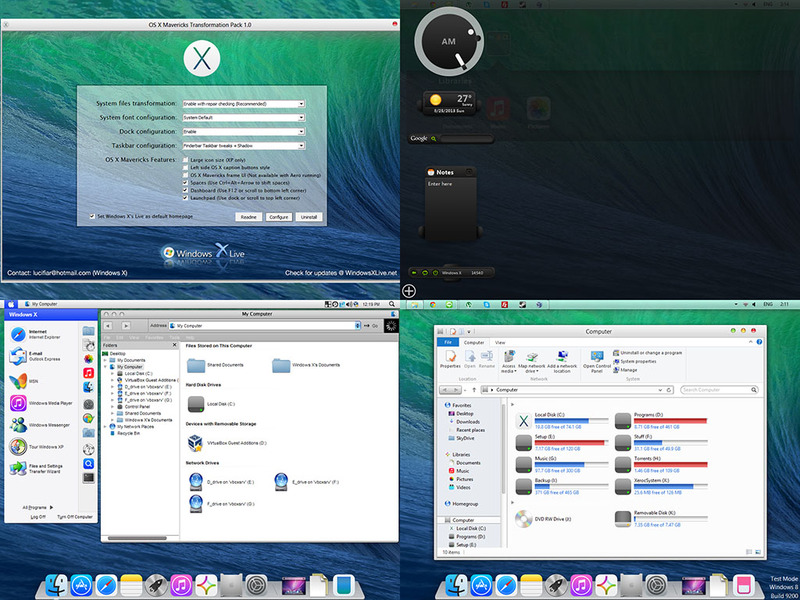 OS X 10.9 Mavericks transformation pack is the first and only Mavericks transformation pack available for XP, Vista, Windows 7, and Windows 8 operating system. According to the developer, this transformation pack includes Mavericks/iOS7 themes, wallpapers, user picture, Mavericks/iOS7 icons, sounds, cursor, logon background, OS X-style dock, and Launchpad. The cool thing is that the setup file of the transformation pack includes UXStyle Core software that automatically edits original system files to add third-party visual styles support. In simple words, you don’t need to manually download and run UXStyle Core or any other software before installing OS X Mavericks transformation pack. Most notably, it uses iOS 7 icons for a lot of apps, rather than replicas of the Mac icons. If you aren’t one to get hung up on details though, you can certainly squint your eyes and pretend to be using a Mac. The developer also kindly made it easy to uninstall the program and revert to Windows’ original UI, so there’s no harm in trying.